Trey Songz is being sued by a Detroit cop who says the rapper punched him in the face with a closed fist. Sgt. Robert Avery says on December 28, 2016, he was working crowd control at Trey's concert at the Joe Louis Arena. 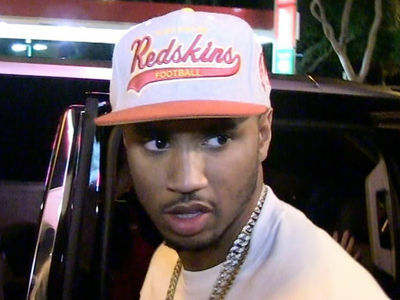 During the performance, Trey said, "if a n**** cut me off I'm goin' the f*** crazy." The reference was to the fact the venue turned off the stage lighting because the concert had run too long. Trey ended up hurling heavy equipment off the stage and then jumped off the stage himself, picked up a mic stand, threw it and hit a photographer ... who's also suing. Sgt. Avery arrested Trey, tried to take him into custody when he says Trey fought him and struck him in the face. The officer fell to the ground and hit his head on the concrete. He allegedly suffered visible bruising and swelling to his right temple, as well as a contusion to his left forehead ... he also hurt his hip. The cop says Trey hurled hateful comments, including, "F*** you cracker. White motherf******. F*** all you honkeys and f*** the police." Trey was arrested and charged with assaulting/resisting/obstructing a police officer as well as aggravated assault. He pled guilty to 2 counts of disturbing the peace. 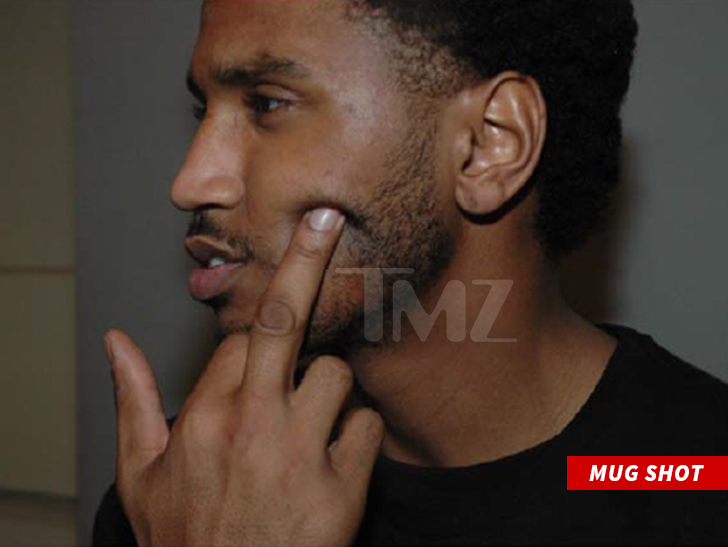 As for his middle finger mug shot, the docs say Songz refused to cooperate during the booking process.